A NEW FUN THEME EVERY DAY! Kick off this year’s Progressive Cleveland Boat show by experiencing the best of Put-In-Bay with a bowl of the Boardwalk’s famous lobster bisque while enjoying the island’s finest entertainment. End your week by making a night of it with the boat show’s Friday Frolic specials! Enjoy live music while enjoying beer specials—while checking out merchants and their wares at the Lake Erie Market. Missing those summer nights along the lake? No fear, the boat show’s Mid-Winter Rendezvous is here! Gather friends and family to experience summer fun to come by seeing more than 450 gleaming new boats, feeling the warmth of the Lake Erie Islands and soaking in the sounds of sunshine. An added bonus? The boat show’s Kids’ fishing clinic at the Fish NOW Expo will give away rods to the first 100 kids! Experience why Kelleys Island is truly “An Island for All Seasons” at this year’s Kelleys Island Sunday Funday! From island specialties, including the Village Pump’s famous Brandy Alexander and Docker’s waterfront bar thirst quenchers, to wares from western basin merchants, Sunday at this year’s boat show is all about what makes the largest fresh water American island on Lake Erie special. 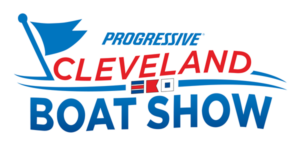 Make the kids’ day off from school memorable by bringing them to the boat show! An extra day added just for kids, they’ll learn to fish, watch Twiggy the waterskiing squirrel, paint their faces and even meet a mermaid—all while surrounded by their favorite Neverland characters, including Captain Hook and Tinkerbell, in addition to the famous undersea Ariel and a princess or two.